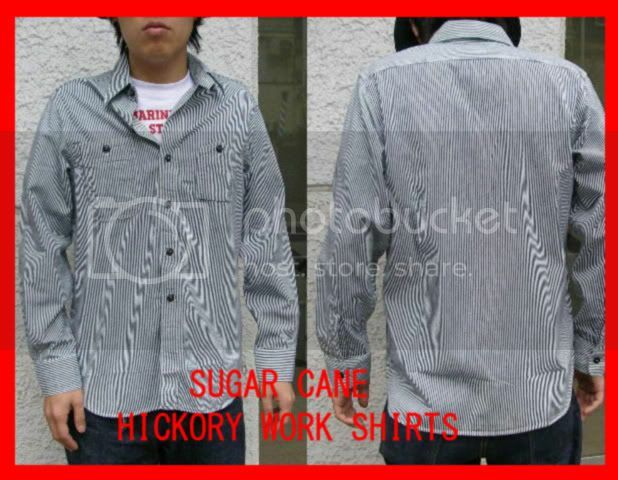 Anyhoo, I'm looking for a nicely made workshirt. Specifically, something sturdy, not necessarily denim (I'm not going for the cowboy look), and not really into plaid. I see lots of options from FH, Sam, etc. etc. Any comments or experience? 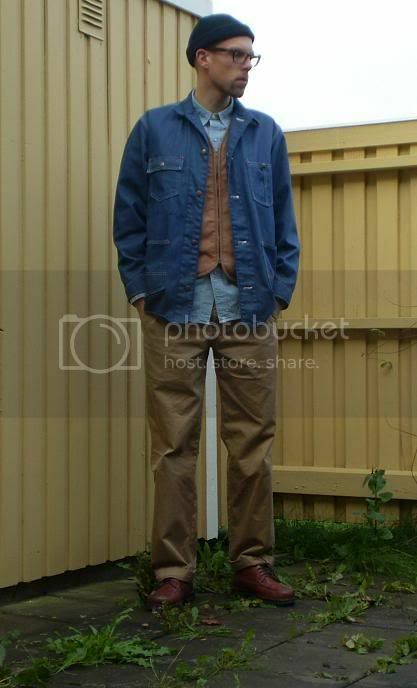 Are the arms typically short like the japanese denim jackets? 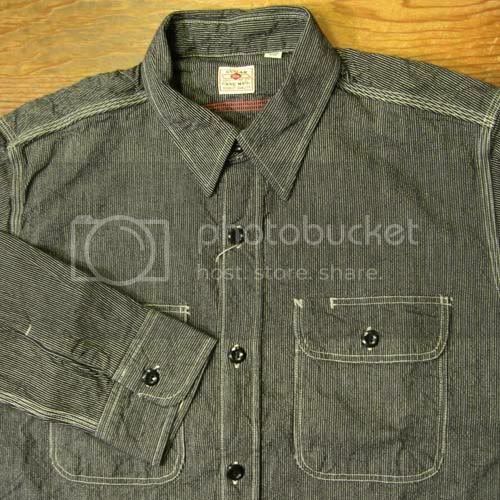 i am fond of the engineered garments 19c chambray bd, and their workshirts look nice and worky, though i aint have 'un, though they will prolly be plaid. so yeah. sturdy, side gussets, MOP buttons, boxy cut, vintage fabrics. Got the Sam hickory stripe workshirt. 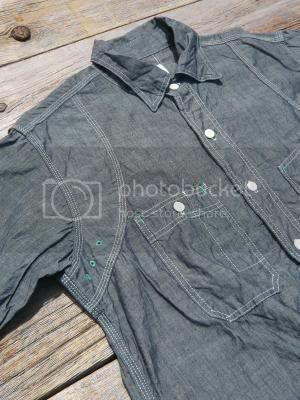 Great shirt as it comes to material and details, 10oz selvage hickory stripe denim so it doesn't give you the cowboy look. The sleeves run short, and actually the Samurai shirts run small in general, be sure to size up at least one from your normal size. 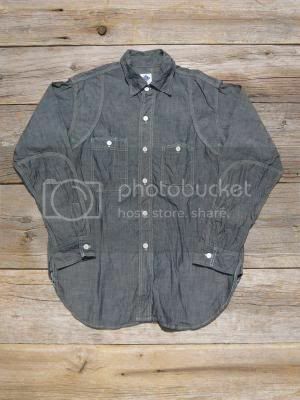 Im a big fan of the Engineered Garments chambray workshirt. Nice fit, quality and some hard to get details. Been picking up Pendleton shirts from vintage stores of late. Also have a couple of chambrays, one by albam and one by nudie. Another great (and cheap) chambray option is the Ralp Lauren western chambrays that are all over ebay. The fabric is a nice lighter brushed chambray, and the cut is on the slim side. More of a cowboy look though. i wanna see the workwear of abused peasant children. 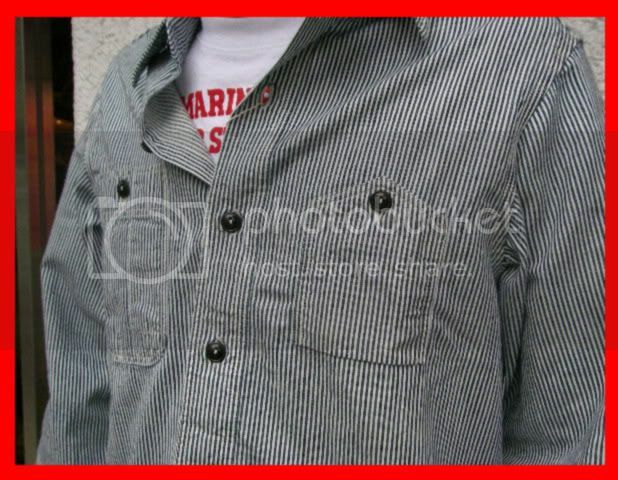 Liking this Nigel Cabourn shirt and his other stuff in general but haven't seen any in person. Which do y'all prefers? I'll be wearing it with dark denimz. I like Number A's details better, but I think Letter 2's colour will be less clashy. ^^^The top one is cool. Colors are nice too. I will post some of mine when I get a chance. Do western shirts count? I agree, the first one has some nice details, like the placket and short cuffs (I think) as well as the color, but you're right, the second will probably go better with dark jeans. Both nice, though. The fit looks great for J. Crew, which I always thought made only big billowy shirts. I know they're not going to be nearly as good quality as the Jap's, but they's cheap, which I like. I did last week! 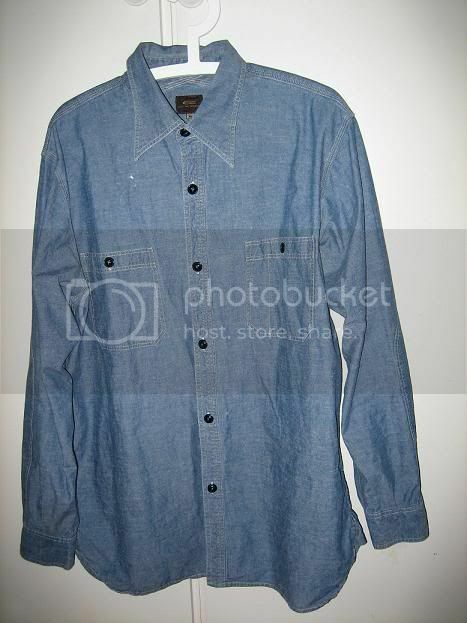 Chambray western though, which in my opinion takes away from the cowboy feel alot. I agree on the regular plaid styles. ^ I really like those pants. I need non-indigo pants. ...which i've been trying to find for about a year! Have you seen the beautiful black Ironheart shirt on SE? It's solid black, so not really like the one in your link, but it's sooooo nice. Some AWESOME shirts this page! Unfortunately, most are too rich for my blood. Who makes the non-IH hickory stripe up there? Anything with this style on the cheap (relatively speaking)? Edit: I just snooped some image names, it's a Samurai. Nice.